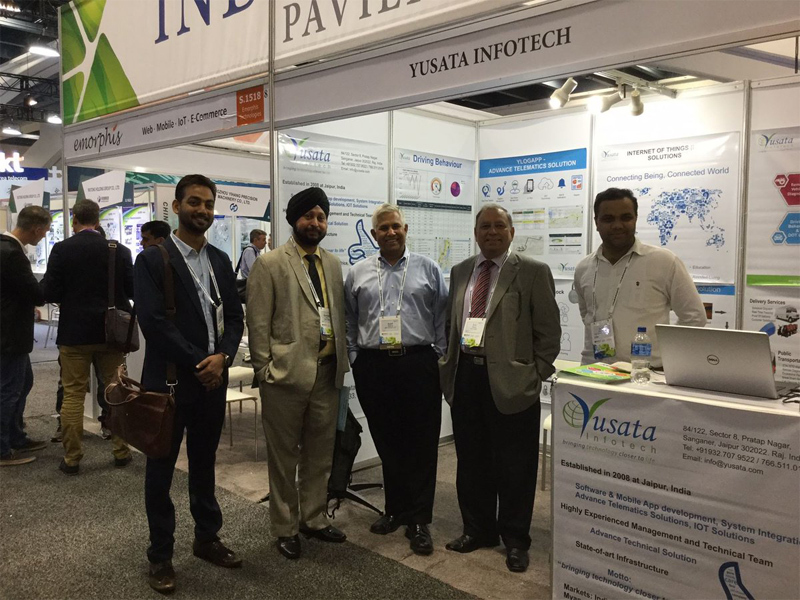 Yusata Infotech participated at Mobile World Congress 2017, San Francisco, USA from 12-14 September 2017. The key players of IOT solutions all over the world had presented their products, conducted sessions, workshops and events for three days. Lots of interesting conversations about the future of IoT, smart cities, 5G, 4th industrial revolution, diversity & equality and clouds happened. Our innovative solutions - IOT Bluetooth Pad Lock, Temperature Sense and Telematics solution for Transportation, Logistics, Delivery and Dispatch Service, etc. industries attracted visitors from many countries. It was a platform for us to promote our array of services available, and the capability to develop solution for the requirement.